Riverdog Farm and PT Ranch are inviting those interested in the future of wildfire mitigation in California’s changing climate to a late afternoon lunch in the field. We will come together over local food and drink to hear from Christian Cain about how agriculturalists can play an important role in fire prevention. 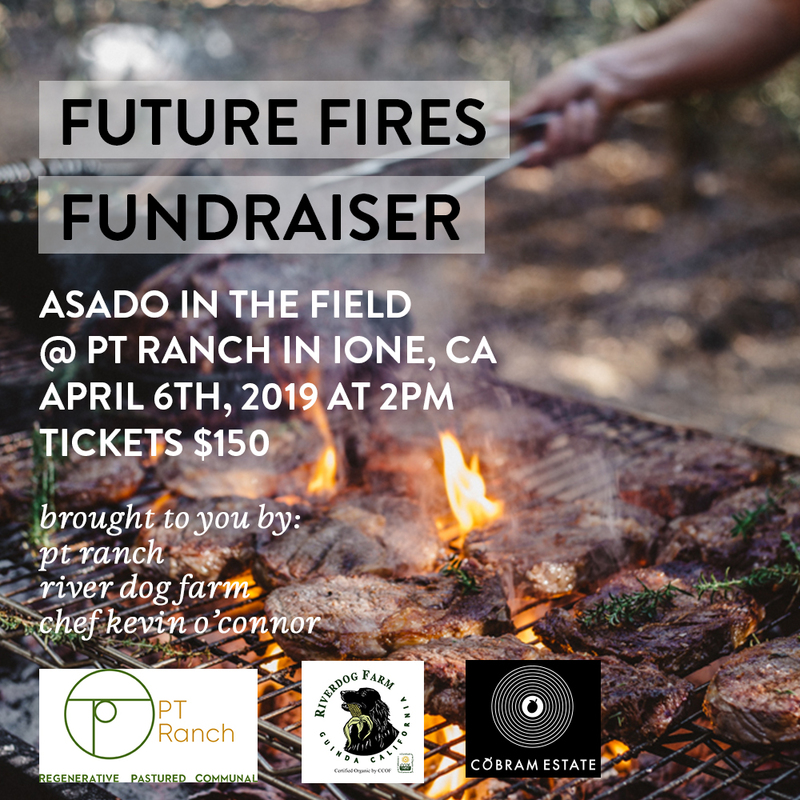 Chef Kevin O’Connor of Cobram Estate will be behind our own fire grilling pastured meats from PT Ranch and organic veggies from Riverdog Farm. All proceeds will be donated to North Valley Community Foundation which is working to rehabilitate victims of the Paradise Fire. Menu & further details to follow! Tickets available in our Ranch General Store.